After a few days of pulling very long welds on large pieces it is finally time to get to the smaller details on the NEB's pub still. First, I designed and built a prototype barrel clamp. I opted for a turnbuckle rather than a faux hydraulic cylinder. The clamp went together quickly and looked great in place. 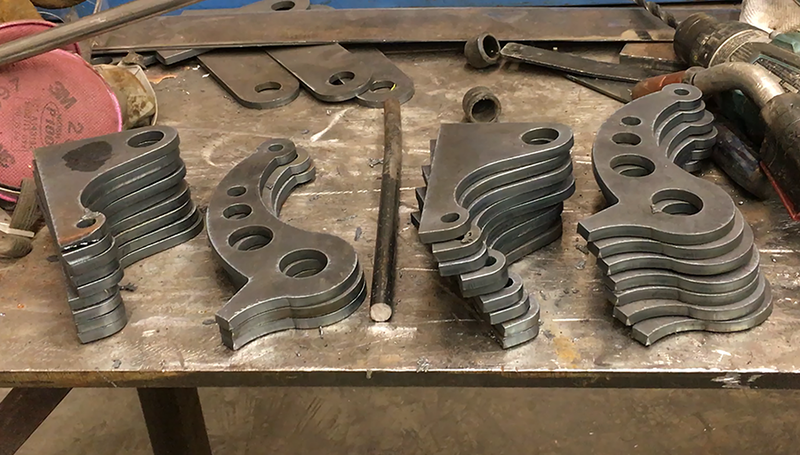 Satisfied, I set the MultiCm plasma cutter in motion and cut all the pieces for fifteen more identical barrel clamps. These will be fabricated and welded into place before I go on to the next fun pieces.